Earlier this year we made two bold moves in our company towards improving the process to build our internal products and the custom software for our clients. The first change was convert the company from the traditional project management to Agile methodologies. So we started to look into Scrum which is an agile framework and decided to go all the way. We wanted to manage our entire business (from Sales to Software Development) using Scrum. So we reached out to one of the original authors of the Agile Manifesto, Mike Beedle and had him train everybody in the company both in Chicago and in Montevideo, Uruguay in his Enterprise Scrum framework, and we began the journey. It is already paying off even though we are still in the process of mastering and adapting it to our needs. The second change involved communication across both co-located and distributed teams where we felt that information and knowledge was being missed due to the usage of too many communication tools. We started to look into different solutions that could fix this problem and we came across Slack. It didn’t take too long to realize this tool was a perfect fit for us. Since then we use email less and communication has been more effective, not to mention that knowledge can now be preserved and accessed more easily. As I mentioned above, the entire company is now using Scrum so we do daily stand-ups, reviews, planning, retrospectives, planning-poker, backlog refinements etc. We are constantly looking for tools that help us get the best out of each session. We have been able to handle most of them successfully except for the planning poker session where we could not find any tool that could truly fulfill our needs. 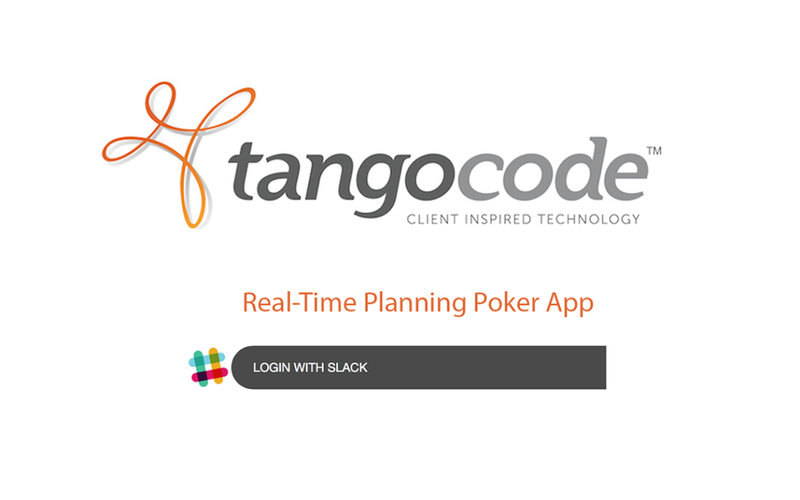 We had a pretty good idea of what we needed so we hacked together a 1.0 version of our TangoCode Scrum Planning Poker for Slack real-time web app. 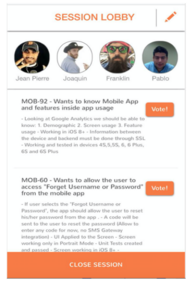 The app can help Scrum Masters with either co-located or distributed Dev Teams quickly and easily create voting sessions by leveraging the Slack environment you already have. 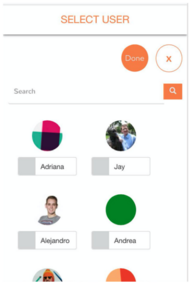 We think a lot of companies can benefit from this cool Scrum Slack tool. The Scrum Master simply selects the story to be voted on and the participants will see a card deck showing the Fibonacci sequence to use to place their vote. 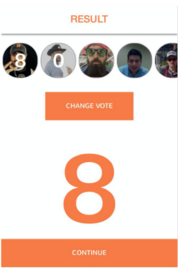 The beauty of this is that in real time participants can see who voted and who has not yet voted, while no one sees each other’s vote until all have voted. Once everyone has voted (or the 1-minute max time limit for voting is up) the system will calculate the final story point and the result is then revealed to every participant. The Scrum Master can override the calculated story point if the Dev team agrees on that. This process is repeated until all the stories have been voted on. 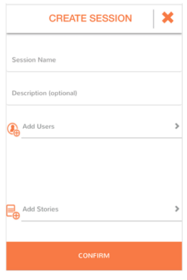 Finally, the Scrum Master closes the session and you see all the stories and their corresponding story points. 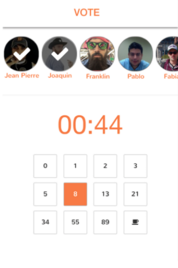 We found that this tool allows us to go through the planning poker sessions much quicker, easier, and in a more productive and interactive way. We hope it can help many in the Scrum community so we are just putting it out there for free*. For the techy ones interested in how we built this tool and what technologies we used, there will be a Part 2 coming up in the next few days…so stay tuned! This is great, but the authorization requirements (Access all content) gave me pause. Can you limit what you require by using the scopes described here; https://api.slack.com/docs/oauth-scopes? Not having to give access to all my Slack content with me more likely to install the plugin. I’m looking forward to being able to try this out! Our engineers are looking at it and we will correct this in the next few days. We will let you know once the change is done so you can enjoy this product! 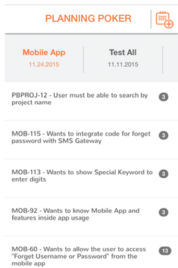 Our team has changed the permissions so you are now free to play around with it. 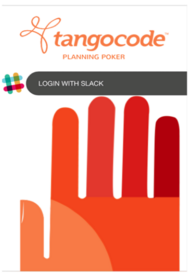 Great blog post and I really like the informative description shared about TangoCode Scrum Planning Poker. I’ve been planning to use the scrum planning and this post inspired me a lot. Thanks for the feedback Judi! We are glad the post was useful for you. Please feel free to reach out if you have any questions about our experience with scrum planning or our app! Throughout the great pattern of things you’ll receive an A just for effort. Where you actually lost us was in your details. As they say, the devil is in the details… And that couldn’t be more correct in this article. Having said that, allow me say to you exactly what did give good results. Your writing is definitely extremely engaging and this is most likely the reason why I am making an effort to opine. I do not make it a regular habit of doing that. Next, despite the fact that I can certainly notice a leaps in reason you make, I am not really certain of just how you appear to connect your ideas which make the actual final result. For the moment I shall subscribe to your point however wish in the near future you actually connect your facts much better. Thanks for your feedback! We will work on providing more details in next posts! Yoour style iis unique compared to ther people I have read stguff from. Guuess I will just book mark this page.